Geo Grain is an economical, reinforced film designed for agriculatural applications requiring puncture resistance and high tear strengths. A heavy-duty scrim reinforcement, laminated between two layers of virgin high-strength polyethylene film, results in a material that resists punctures and immediately stops tears. 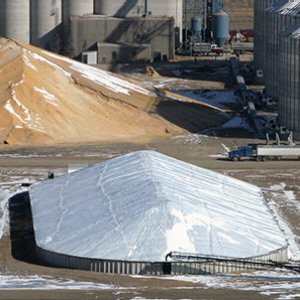 Geo Grain 6 is the first choice for applications requiring greater performance than common 6 and 10 mil C&A plastic sheeting. Click here for Product Data Sheet.